Customs officials seized a wooden icon in a metal frame dated back to Coptic era at Cairo airport. The passenger who was trying to smuggle the icon out of Egypt, tried to get rid if the icon when he got to the luggage scan. 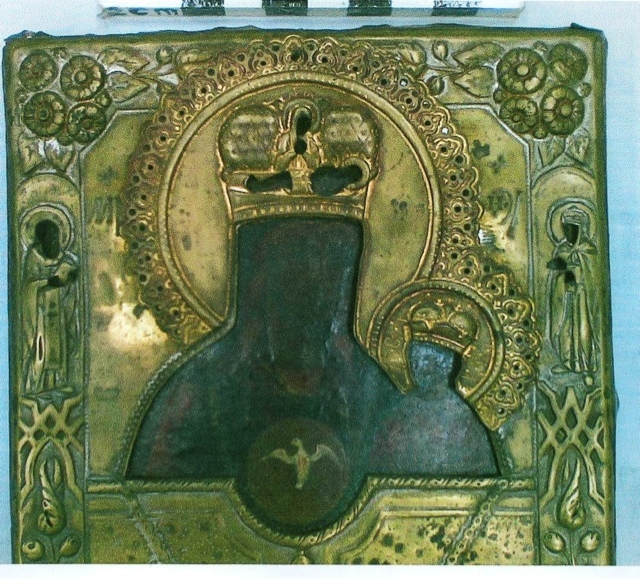 According to Ahmed El Rawy, head of the Central Administration of Archaeological Units, the icon is 26 x 30 cm and it shoes a scene of Virgin Mary and baby Jesus wearing crowns. It is also noticeable the Latin inscriptions on the sides of the icon.